400,000 of Griff Abel's stack shifted right to Daniel Wagner a few hands ago, and now Abel is all in on the flop with TopTwo against the bottom set of Anthony McIe on an A-6-4 flop. 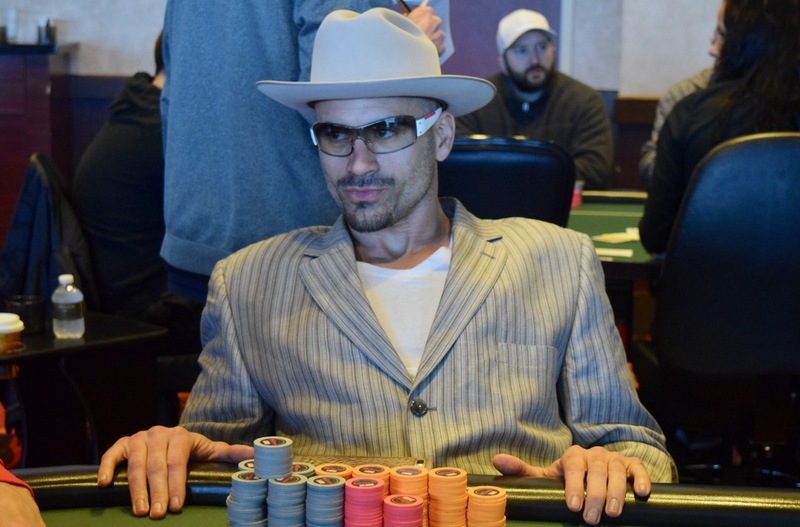 McIe is in for 881,000, Abel has him covered by 62,000 in the biggest pot so far in the HPT Pittsburgh Main Event. The board runs out 7-7 and McIe moves to 1,675,000. Wagner is the new chipleader at 1,750,000. Abel is eliminated one hand later in 11th, cashing for $6,292 and the field now moves to a single table of 10.